Host your next event at Txikito. We have two semi-private dining spaces perfect for any occasion. From standing receptions to seated dinners, lets us create a menu for you. 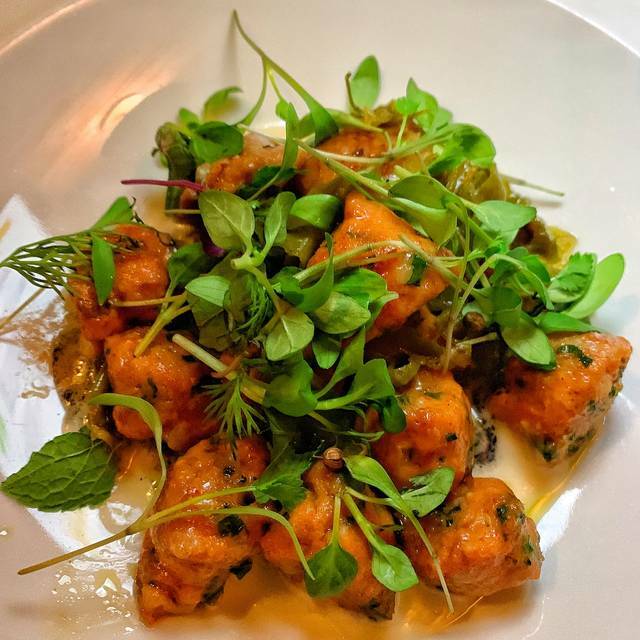 Acclaimed Basque restaurant from chef Alex Raij and Eder Montero located in Chelsea. 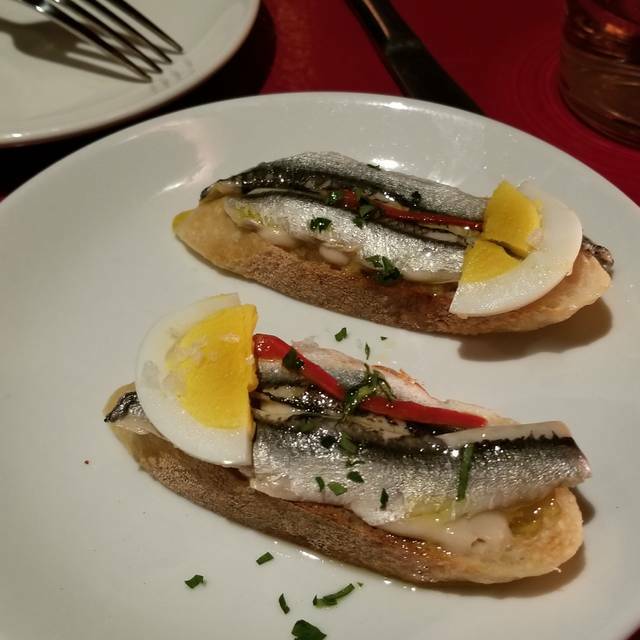 Txikito is a love letter to the Basque region, serving authentic small plates, whole fish and crispy suckling pig. 2 patties, smoked sheep's milk cheese, "salsa especial"
Great food. Fast service. Enjoyed the ambiance. the food was inventive and very well prepared. We had a guest from Paris and he loved it! The food was superb, and the waiting staff had lots of patience with our kids. Accidental find! Food is amazing! A very cute place, great service and did i say food was amazing? Our first visit was overall a good experience. Friendly efficient server who was very knowledgable about the menu. Pretty much all of the dishes were tasty, especially the sauce that came with the garlic lamb. Nice casual flow and ambience. A bit overpriced for small plates but worth another try. This is a foodie's paradise. I love Basque food, and this place prides itself on the food. While I love the place, I asked which dishes are good for sharing and the waitress told me all of them. That is not true. We had a very hard time cutting up the special of toast with marrowbone and tuna. But they are all delicious none the less. We found the place looking for the bone-in ribeye we had at Bar Nestor in San Sebastian so which they had that on the menu every night. We absolutely love this place! The food is so consistently outstanding...can't wait to go back!!!! Unfriendly waitress, overpriced food and bland flavors. Excellent, tasty and varied tapas. Pleasant service. Noisy, but at least we were in a corner. One of our all-time favorite restaurants in NYC. The food is outstanding. One dish is better than the next. Everything is perfectly cooked and seasoned. Could sit there for hours and order everything on the menu--which I actually did one night last summer... OK, not EVERYTHING on the menu, but we ended up ordering many, many dishes based on how delicious it all was. Can't recommend this place highly enough. Incredible. Really different from any spanish food I’ve ever had. Will definitely go back! 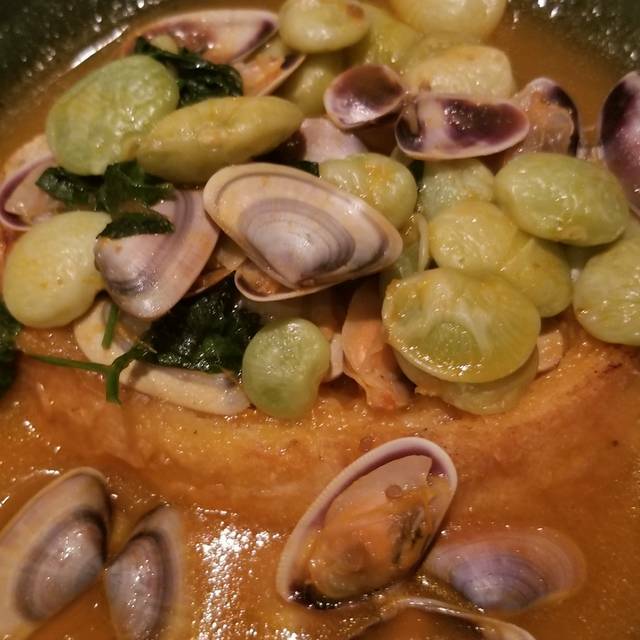 Wonderful, Basque-inspired food . Friendly service. An unexpected delight! The food was terrific, the service team was terrific too- very engaged, welcoming and helpful. We will be back. Food was nice, but the space is poor. Especialiy the walls reflect all noise in the tine spaces, so if you sit next to a group who choose to have fun with loud laughing, you can not hear a single word you try share at your own table. Either make those space bigger and lay carpets, or ask customers to adapt their behaviour. The squid ribbons still are so delicious and never enough, you have to order 2. 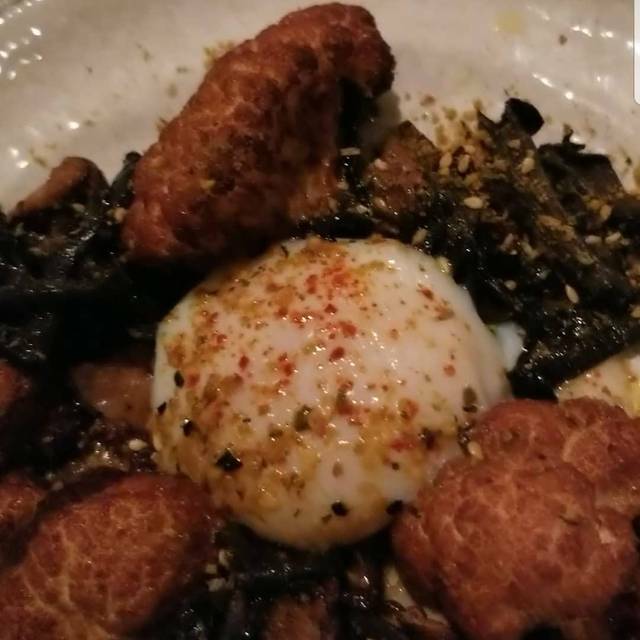 Also, the special Beach Tongue Clams and Poached egg, wild mushrooms and cauliflower dishes were very satisfying and delicious! I want to order all the seafood dishes and the Suckling pig and Foie were on point. See you soon! Great place for wonderful Basque food. Probably no other restaurant in the City that serves Basque recipes can compete on quality, creativity or price. Service fantastic as well. 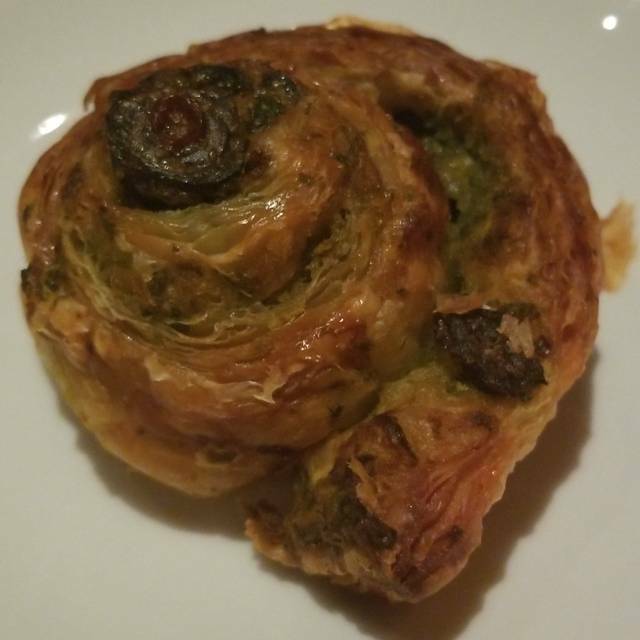 It's an interesting menu that might turn off some less adventurous eaters at first look, however when the food arrives it's approachable and very well executed. Good food. Great selection of tapas. Excellent service. 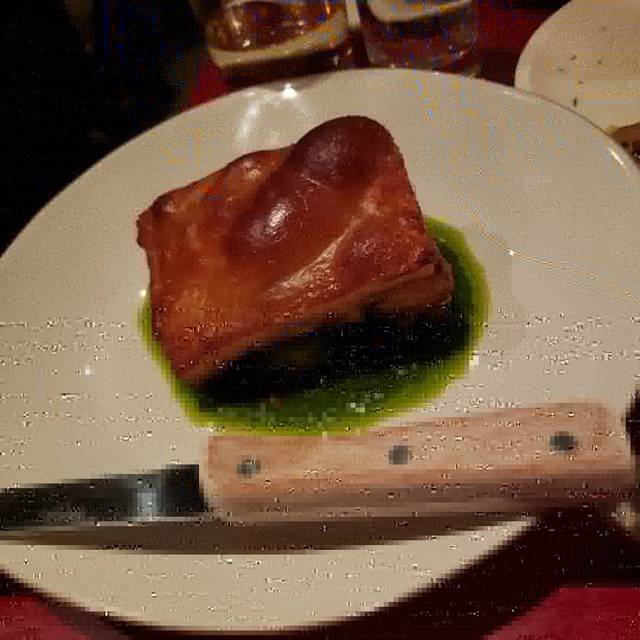 The food was as always delicious and the service was kind and attentive. The food was delicious. 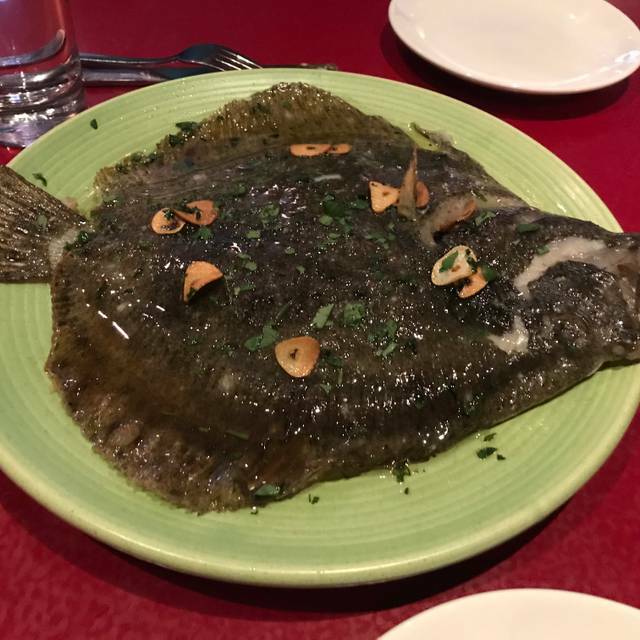 The whole turbot (filleted at the table) and the octopus carpaccio were highlights. Tables are a tight fit, but the ambience is good. The waiters were very friendly and gave helpful suggestions for the number of plates to order. Read about this place from a couple of write-ups on line where it was touted consistently as one of the best in Chelsea. So on that reco, I took friends from Baltimore to sample it out (my first, too). Boy, was I disappointed. Very disappointed! Food was okay - nothing to rave about - but what was annoying was the service. We had this waiter Dwight (not sure, if that was his name...) who did not offer us bread, took forever to serve every tapa plate...it was an agonizing wait for every tiny, measly plate... it definitely killed my appetite. We decided to go for dessert some place else. Thank, goodness. It saved our night. Lesson - I will definitely check for myself a well reviewed place before taking friends there. 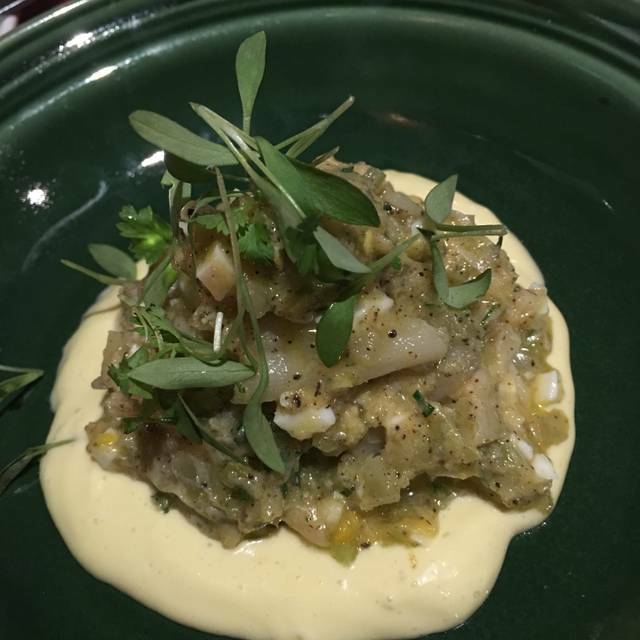 After making a spectacular culinary journey to Spanish Basque Country last spring, including an overnight at the esteemed Alkelare, I came here with much pent up expectation. It didn’t disappoint! 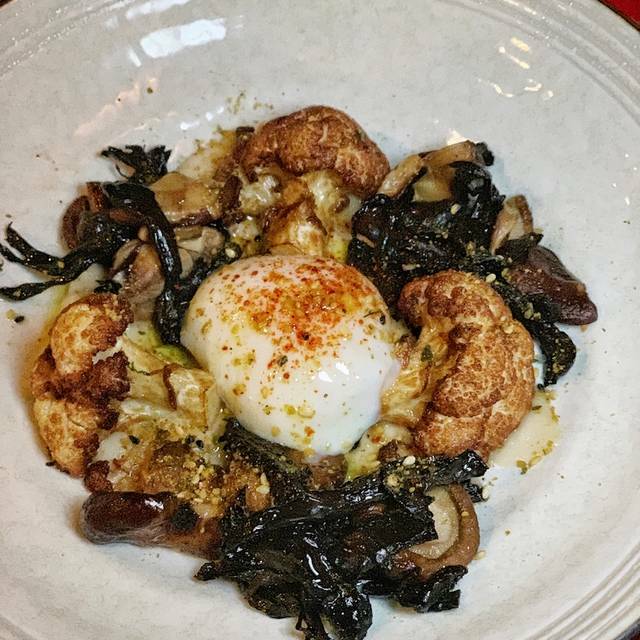 The baked cauliflower, forager’s mushrooms & sous-vide egg nicely kicked off the evening. The Desnudos, surf & turf gniocchis so to speak, was really delightful. The marriage of Ibérico ham and shrimp was a success. The squid ink and porcini pil pil sauce complimented the “ñoquis” so well that I almost licked the plate clean. The 6-week old roasted suckling pig was close to perfection in my opinion-balanced fat to lean ratio, super thin crispy skin & melting flesh so creamy surpassing anything I had in Saint Sebastian or renown NYC venues. The cut we were served was flawless as it really showed how young the suckling pig was. Unlike most others, the lamb shank here came with a crispy finish contrasting the super juicy & tender inside texture. And what’s amazing was that it had no hint of gaminess that I am averse to. I need to find out where it’s sourced from. As a habit I normally skip dessert course but I went ahead anyway this time banking on the success of everything else. As it turned out, the Tonka bean cream was heavy and the poached pear was dry & flavorless. Well, I should have sticked to the server’s suggestions or my usual routine. A pet peeve of mine, I hate wobbly tables. I wished the server was more enthusiastic about fixing it. Food was good, but not up to level of the owners other restaurant across the street El Quinto Pino. Also something about the interior is not nearly as charming. Lastly, prices on the non-tapas blackboard menu special entree main items are too high for the quantity of food. My server was excellent, friendly and knowledgeable however and leaves a good memory of the spot! Rather disappointing — certainly in comparison to its sister restaurant La Vara. The petitions used to create small areas for eating helped a great deal to defuse the noise level as the restaurant filled up. The service was good and attentive. My friends and I enjoyed the larger entree dishes we chose to share. Less impressed with the smaller starter plates. Overall we enjoyed the meal...and it was great to try what was a new venue for us! Excellent food and service , very traditional Catalonian tapas , inventive menu and great presentations . Price point is slightly higher than I think it should be , but the quality of the food and service keeps the place lively . Food was amazing. Not typical tapas. Each dish was an exciting surprise. Highly recommend. Terrific shared meal with friends. Great atmosphere and excellent service. Fantastic food, great service. Very comfortable. Very knowledgeable server, excellent food intended for sharing. A really good date place. Superb food, warm, attentive and knowledgeable service, great wine selection and cocktails...what more could one want?! Always interesting and well done. The service was really good, it’s just the food was new for us, and very bitter and dry (as in dry wine, not moisture dry) We may go again, but it won’t be a regular spot. I think if you know and like Basque food, this would be a great spot. It was new for us. The food here is always fantastic. Only problem: this evening there seemed to be a children's party in the side room. I didn't know that children were into tapas. Too much noise and too much running around by the kiddies ruined an otherwise excellent meal.